Until fairly recently the conventional wisdom was that if family history researchers had a Mac their choice of genealogical software was very limited. The options often seemed limited to Reunion or to try to run software that had been designed for PCs. Recently that situation has been changing. New software has become available and announcements indicate other options will soon join them. If you are looking for genealogy software, a good place to start is MacGenealogy.org. This site had lots of information about genealogy products for the Mac environment and attempts to be impartial. Don't confuse this site with MacGenealogist.com which should be your second stop. Much of the Mac genealogical community is on hold while awaiting the appearance of Family Tree Maker for Mac which like its PC version is backed by Ancestry.com. This is not to say that this much awaited software will dominate the Mac market. Its long running PC cousin is an important player but does not dominate that market for serious genealogists. The marketing and distribution power of Ancestry will be important as will links within the program to the Ancestry database. The expected release of Family Tree Maker for Mac currently is the end of November. This will be just in time for it to be a holiday gift. Family Tree Maker has long enjoyed the best retail distribution system among genealogy software programs. 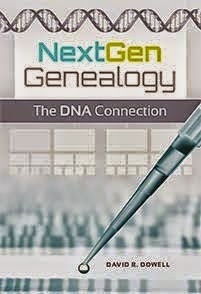 At one time The Genealogy Network now Ancestry bought Family Origins but did not develop or market it. This behavior led some to believe this acquisition was made to remove a competitor from the marketplace. After the end of the non-competition clause of the contract in which Family Origins was sold, its original programming team came back together and wrote RootsMagic. RootsMagic built from a foundation of its Family Origins fan base and has become the program of choice of many serious genealogists. In the near future it will be interesting to see what happens in the marketplace as Ancestry salts Family Tree Maker with little green leaves that link to content in Ancestry. RootsMagic seems to have aligned itself with the revitalized FamilySearch. After the New FamilySearch opens to non-LDS members in the next several months, RootsMagic will be able to offer similar links to extra content from a powerful partner as well. 2011 should be interesting. Yesterday Ancestry.com issued a press release announcing it had "entered into a definitive agreement to acquire iArchives,Inc." This acquisition includes Footnote.com "a leading American History Web site. Ancestry stated "This acquisition will provide the company with a complementary consumer brand, expanded content offerings, and enhanced digitization and image-viewing technologies." In early trading today Ancestryystock is up slightly. However, it is not up nearly as much as the market as a whole. That is to be expected as investors generally become cautious when one company acquires the debt of another. Over the past several days Ancestry (ACOM) has been part of the general market gains. Ancestry itself has experienced phenomenal growth over the last year and there have been some recent whispers that it might be the kind of company that would be an attractive acquisition for an even larger corporation. In yesterday's post I neglected to mention HeritageQuest--an online database which is available in about 7,000 public libraries across the US. HeritageQuest has a section on the Revolutionary War which includes pension records. Its search engine is much simpler to use than the one at Footnote. Sometimes that is an advantage and sometimes it is not. A big advantage for using HeritageQuest is that most public libraries that subscribe allow their registered patrons to search it from home by entering the bar code found on your library card. To check this out, go to the web page for your local library. Select databases and then HeritageQuest. Enter your bar code number from your library card when you are asked for an ID. You might think Revolutionary War pensions were started in the late 18th Century. However, in general that was not the case. Some states did initiate payments then to disabled veterans and occasionally to others. For information about those, the documentation would be found mainly at the archives of the individual state. However, the majority of pensions were not awarded until the early 19th Century. It was only then the the federal government got involved. The first major pension act for the assistance of veterans, their widows and some other dependents was not enacted until 1818. So many pensions were approved that Congress had to appropriate additional funds. However, many applications were at least initially denied. As a genealogist, you should hope that the application of your ancestor was one of the latter. Applications that were immediately approved generated very little paperwork. Denied applications, on the other hand, sometimes resulted in voluminous files of correspondence back and forth which is often rich with genealogical information. Some of these applications disputes extended well into the middle of the 19th Century before they were resolved. These pension applications files are housed at the National Archives. The easiest way to access them is through Footnote.com. Footnote is a pay site. If you are not going to use it frequently, you may wish to look for a nearby library which subscribes. Most local Family History Centers of the LDS Church hold such subscriptions for their patrons as do some public libraries. Check with you local library or family history center for information. According to a newspaper article published in the Star of Christchurch, NZ in 1902, there were still three widows receiving pensions based on the service of their spouses during the Revolutionary War. Among the jewels I have found in Revolutionary War pension files is the only official confirmation I have been able to find of the parentage of my 3rd great-grandfather, Peter Dowell, who was born in 1788. His mother initiated a request for a widow's pension in her old age. It was denied several times but Mary persisted until her death in 1853. A few weeks after her death a notice came that the pension had been approved. Then the amount approved for her had to be paid to her surviving children which were listed as Peter and his sister Elizabeth (Dowell) Johnson wife of Ambrose Johnson. Have you ever seen a tombstone that gave you a laugh? If the deceased had a sense of humor, they can continue to amuse us long after they are gone. I guess some of the stones shown in the linked sites were not intended to be funny. Therefore with apologies to any of your who may be offended by personal names or "bathroom humor", here are several versions of "Unfortunate Gravestones" published on the WWW. One made "list of the day" back in March. "A September post by Jotter of a Rotter" contains some overlap and some new entries. One of my dad's favorite jokes was about a lawyer named Strange. The lawyer left specific instructions that when he died he wanted his tombstone only to say, "Here lies an honest lawyer." He knew that was enough information for passersby to know, "That's Strange." I hope this is enough stimulation to get you out to document the graves of your ancestors and perhaps find a little humor along the way. The current issue of The New England Journal of Medicine 363:12 September 16, 2010, starting on page 1099, has a provocatively titled article, "Preparing for a Consumer-Driven Genomic Age". The authors of this article are James P. Evans, M.D., Ph.D., David C. Dale, M.D. and Cathy Fomous, Ph.D. The web page version can be viewed or a PDF version downloaded. To my knowledge this is the first open discussion of direct to consumer (DTC) genetic testing to be widely broadcasted within the medical establishment. Earlier were restricted to blogs and listservs which were only available to those insiders who subscribed. "How can we maximize the benefits of these new developments and minimize the harms? How can we encourage patients’ involvement and autonomy yet establish appropriate safeguards while avoiding inappropriate paternalism?" "Direct consumer involvement in the genetic revolution is to be welcomed, but consumers must be protected from unrealistic claims and misinterpretations of complex, dynamic genomic information. Numerous studies indicate that most primary care providers struggle to interpret single-gene tests...and are unprepared for the genomic age." evolving and multiplying genomic technologies are responsibly harnessed and that their promise is not oversold to the public. It will be important to continue to advocate for rigorous evaluations of the clinical validity and utility of genomic tests, as well as for adequate regulation that simultaneously preserves innovation." This article wraps around parallel article entitled "Risks of Presymptomatic Direct-to-Consumer Genetic Testing" by Justin P. Annes, M.D., Ph.D., Monica A. Giovanni, M.S., C.G.C., and Michael F. Murray, M.D. This second article can be view if you choose the PDF version of the previous article. "Geneticists have long cited the risks of direct-to-consumer (DTC) genetic testing, highlighting the danger for consumers who make complex medical decisions without adequate clinical guidance." "The potential harms of DTC genetic testing include the loss of protections for patients offered by established health care delivery systems (e.g., doctor–patient confidentiality and beneficence), invalid analytic or clinical results from medical devices, and population screening without consensus on interpretation and follow-up. These risks must be balanced against the potential benefits of innovation." I hope you will want to read these timely articles in their entirety. They are not long or overly technical. Because of their timing they will help define the debate over DTC genetic testing. If you have not tried the new FamilySearch Beta search engine, you owe yourself a treat. Throughout 2010 FamilySearch has been aggressively converting microfilm images to digital and continues to do so at an exciting pace. For the most effective searching experience you should try out the advanced search options that are available by clicking on "Show Advanced". A couple of caveats however are in order, if you are using the advanced search, don't put in too many items and require them to be "exact" matches or you will miss many relevant images. You may eliminate all matches altogether. Start out with a little fuzzier search and gradually add more information or "exactness" if you need to exclude irrelevant results. Also remember to clear all of the boxes of information and settings from one search before you try another. There are some fantastic images here that have not previously been available online. Explore and enjoy! High priestess of proper documentation in family history research, Elizabeth Shown Mills, is also a great storyteller. However, you may have to turn up the volume to hear her video clip "We Are All Cousins" because she is also very soft spoken. Good piece of detecting Susan Dowell! Samuel HINCKLEY was born May 23, 1589 in Harrietsham, Kent, England. Married May 7, 1617 in Hawkhurst, Kent, England Sarah SOOLE/SOULE. His descendants include the 6th and final Governor of Plymouth Colony and 3 of our last 4 US Presidents--the 2 Presidents BUSH and President OBAMA. You can view this connection at the Press Release section of the New England Historic Genealogical Society website. The fall session of Genealogy Research at Cuesta College begins on Tuesday at 9 AM. This session will be on genealogy principles and US research. It will be aimed at beginning and intermediate researchers. As of yesterday morning there were 19 registered. That leaves 5 more workstations available. The formal part of the class is from 10:00 to 12:00 but we have the computer lab scheduled from 9:00 to 12:50. Parking is usually much better before 9 AM. The time before and after the formal presentation can be used for consultation, for Internet research or for exploring RootsMagic4. For the first week we will make sure everyone is signed up for this blog, discuss the basics of family history research, complete a pedigree chart in RootsMagic, complete a search exercise in Google, and take a little quiz. Students should bring a flash drive, a public library card, and any information you need to login to your personal email account from a remote location. If you already have data in a computerized genealogy program, export it to your flash drive as a GEDCOM file or save it as a RootsMagic file and bring it to class. I arrived in North America on the Hercules in 1635.